Guam Legal Research - GU Legal Research Help | National Legal Research Group, Inc. The National Legal Research Group founded the legal research industry in 1969 to help all attorneys from solo practitioners to small firms to corporate counsel with their legal research and writing needs. We have helped over 50,000 attorneys since we were founded. Our expert attorneys average over 20 years of experience each and are specialized by area of law. 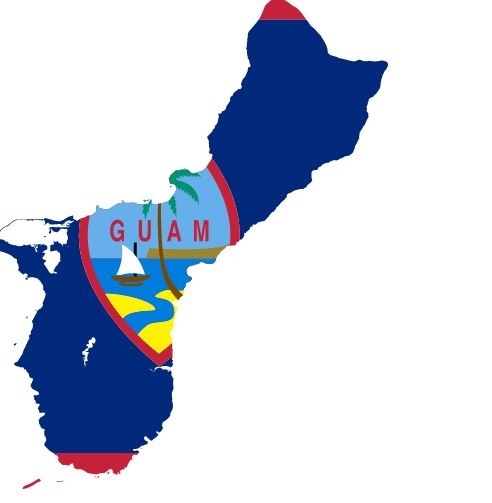 Over the years, we have dealt with a wide range of cases, including those specific to Guam. If you are finding yourself needing additional help dealing with a challenging case, contact our team of attorneys today. We offer free consultations to attorneys. Our experienced attorneys have assisted over 125 Guam attorneys with legal research and writing services for their cases. We have attorneys specialized in unique areas of law such as international law, maritime law, and many other areas of law that can affect your case. We understand the unique situations that may come from handling cases with Guam law and/or U.S. law. In some cases, it can take a group of attorneys with multiple areas of expertise combined to sort out the complexities of situations involving multiple jurisdictions. If you are needing a competitive edge to help you win your case, NLRG can provide you with the legal research and writing help you need. The National Legal Research group can provide our attorney clients appellate brief writing services and we can offer the service of appellate brief compliance review and filing through The Lex Group. Since we were founded in 1969, we have completed over 170,000 legal research and writing projects for our attorney-clients. Our highly-experienced attorneys can help you with trial and appellate preparation, strategic planning, objective legal memoranda for case evaluation, or any other purpose prior to or in support of litigation or transactional analysis. We can also assist you with Advocacy Memorandum, Adversarial Memoranda, Memoranda in Support of Motions, or Objective Memoranda. To receive a free consultation with one of our attorneys to discuss your case, complete the form on this page or call us directly. In some situations, a written product is not required for us to assist you with your case. If this is so, we can offer our attorney-clients with telephone and email reports. This unique option allows you to receive the expert analysis of legal issues from our experienced attorneys, but at a lower overall cost to you. To see if this option may be right for your case, contact our team of attorneys today. NLRG's expert attorneys can help you significantly reduce the amount of time you must devote to the legal document review process. We can offer you the highest quality legal document review services to free up more of your time to focus on other areas of your case, help you meet your deadlines, and help you better predict your costs up-front. For our attorney-clients, we have prepared pleadings for motions to quash service and service of process, motions to compel, answers and affirmative defenses, counterclaims and replies, motions to strike, and more. In cases ranging from complex multidistrict litigation to relatively simple state court proceedings, the National Legal Research Group's attorneys have assisted our attorney-clients with the following discovery-related services: deposition summaries, preparation for depositions, motions to compel discovery, interrogatories, requests for admissions, or requests for production. If you find yourself dealing with a difficult case and need extra legal research and writing help, contact our team of attorneys today. We would be more than happy to discuss your case with you and discuss how we may be able to help. The National Legal Research Group has been helping our fellow attorneys since 1969, and we would be happy to help you, too. "The report was directly on point for all the legal issues in the case. [Tim Snider] completed the report ahead of schedule and the issues in our favor were supported by appropriate case law. Excellent work product." "Utilizing NLRG is a very economical way for a sole practitioner to operate and to meed scheduling demands."